Brooklyn, NY – In 1998, Dance Dance Revolution, a Japanese musical arcade game that challenged players to follow onscreen dance moves by stepping on corresponding arrows on a dance pad, took the world by storm. 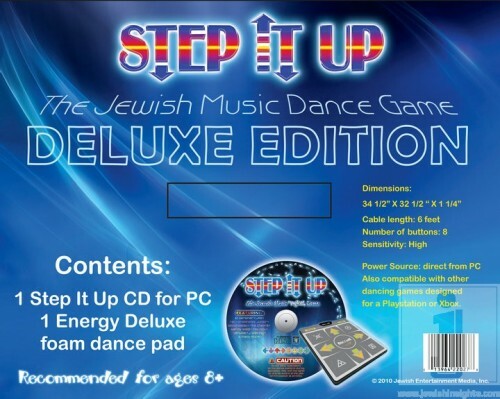 Twelve years later, a Borough Park woman hopes that Step It Up, a similar game featuring popular Jewish songs being released in time for Chanukah, will do the same. Faigy Grossman first heard about Dance Dance Revolution from her students as a Chumash teacher at Brooklyn’s Nefesh Academy in 2007. She was fascinated by the skills needed to master the game, which seemed to be the perfect blend of aerobic exercise and good, clean fun. Grossman wondered whether there was some way to adapt the game for the Jewish market, by keeping the underlying concept but substituting Jewish music. In 2008 Grossman decided to make her dream a reality, doing all of the graphics and most of the programming and choreography for Step It Up on her own. Grossman credits Izzy (A’H) and Benny Taubenfeld of Sameach Music, Neshoma Orchestra and producer Avi Newmark for being especially helpful when it came to allowing use of their music. Song selection required many factors, according to Grossman, including popularity, tempo, complexity and originality of rhythm. “I particularly looked for songs with multiple instruments and layered sounds because that way the dances never get old,” explained Grossman in an interview with VIN News. 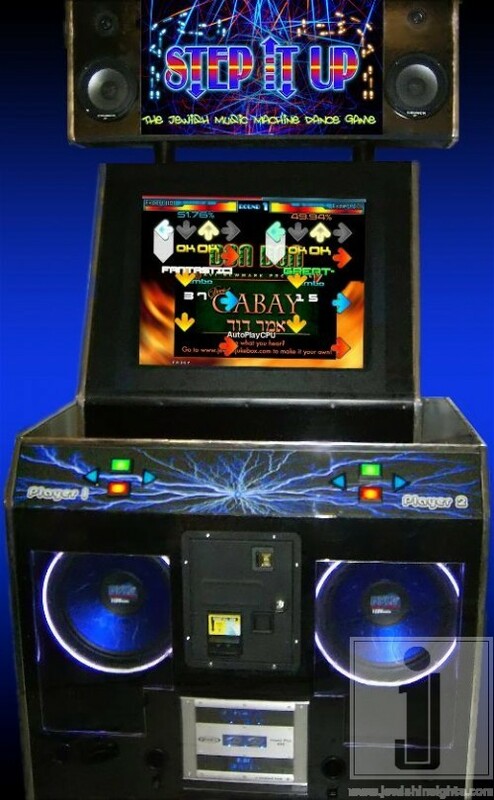 The game, which features sixty songs from some of today’s most popular artists including Avraham Fried and Lipa Schmeltzer, includes software and a dance pad that attaches to any home computer. As the music plays on the computer, scrolling arrows appear on the monitor and players step on corresponding arrows on the dance pad. Players are scored by how well they followed the rhythm and can see not only how many calories they burned but also their improving scores as they progress. A two player mode allows players to challenge each other as well. Introductory versions of Step It Up featuring 30 songs are already in numerous homes, schools and private fitness centers. The game also made its way this past summer to Camp Anna Heller and Camp Bnos, where a customized version of the game was used to break out color war. Response to the introductory version has been overwhelmingly positive according to Grossman. While Grossman stresses the health benefits associated with playing a game like Step It Up she isn’t the only one claiming that dance games can be an effective form of exercise. A 2007 article in the New York Times cited studies by the Mayo Clinic and the University of West Virginia which proclaimed that obese children who played Dance Dance Revolution regularly received significant health benefits including improved blood pressure, overall fitness scores and endothelial function, which reflects the arteries’ ability to deliver oxygen. Not only has Dance Dance Revolution been incorporated into the physical education curriculum in hundreds of schools all across the United States including CalTech and University of Kansas, but West Virginia, with the highest childhood obesity rates in the nation, has incorporated the game into the physical education curriculum in all of its public schools.